It looks like Yager’s not the only developer putting together a team-based ship fighter with big ol’ capital ships blasting away at each other, some team behind Strike Suit Zero is at it too. They’ve formed a new studio, Edge Case Games, and their debut game, Fractured Space boasts tactical combat between massive ships on a “cosmic” scale. Edge Case Games promise transparant development, and have already given founding community members access to early playtest builds. Arcadey dogfighter Strike Suit Zero got a bit of a mixed reception when it came out early last year. We didn’t review it at PCGamesN, but I did back in my old stomping grounds. It had its fair share of problems, but it got its nostalgia hooks into me and ended up winning me over. 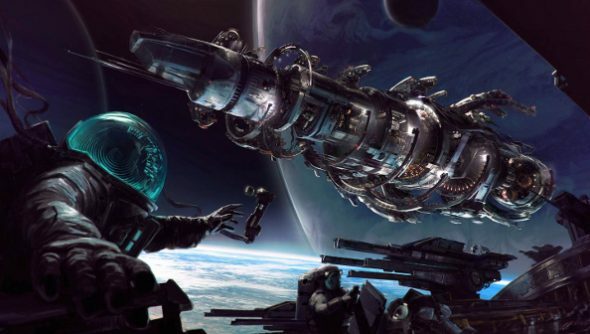 If you want to keep an eye out for Fractured Space playtests, check here.